Kakani is a settlement in the Nuwakot District of the Bagmati Zone in central Nepal. At the time of the 1991 Nepal census, the Kakani village development committee administered a population of 7816 living in 1343 individual households. As one of the most accessible settlements from Kathmandu over 2000 meters, hill station hosts a British Gurkhas welfare bungalow and a number of hotels. The village is also home to a memorial park. A notable local industry is strawberry farming. With the assistance of a United Nations Development Programmer project, a local farmers' cooperative now produces close to 250 000 kg of the fruit per year. Nagarjun is one of the well-known Buddhist Stupa on the Nagarjuna Hill, which is about 7km from Kathmandu on western skyline. A motor able road leads through Raniban (Queen Forest) to this Stupa. It takes about 1 hour to reach there in the motor / jeep, while hike is about 5 km. on foot and takes about 2/3 hours. It is quite steep and you have to climb about 754 m. At altitude as the Stupa is situated on the top of the Nagarjuna hill at 2128m. Nagarjuna hill is also described in literature as Vindya Mountain.This itinerary is for day hiking so that hiker early morning goes Kakani and next day hiking to Nagarjun hill and evening return to Kathmandu hotel. Day 01: Hiking to Kakani, explore view point and return to Kathmandu, overnight hotel in Kathmandu. Day 02: Hiking to the Nagarjun Hill Top 3 hours, and return to Hotel 2 hours. All land transportation by Tourist Coach. Day 01: Drive to Kakani for day hiking to Kakani view point and return to Kathmandu. After breakfast we drive 1.30 hours to the bottom of Kakani hill top and start our hiking to the top of Kakani hill, now you can explore the view over the Manaslu, Ganesh Himal and Langtang ranges. 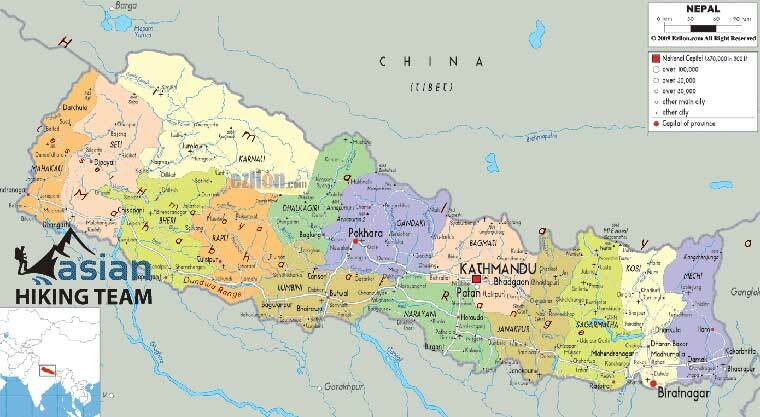 We can learn some local culture and customs, return to Kathmandu by car. Day 02: Hiking to the Nagarjun Hill Top 3 hours and return to Hotel 2 hours. Start hiking from Nagarjun Hill half an hour drive from Thamel. Nagarjun Hill hiking is inside the deep forest, takes 3 hours to the top. The panoramic view from Nagarjun Hill Top is best. The Kathmandu valley can be see very well. Return to Kathmandu 2/3 hours transfer to Hotel.